Origin Energy today announced the availability of a Smart Energy Monitor for its customers in Victoria. The Smart Energy Monitor is a device that works with ZigBee wireless technology, and it can give users a real-time view of energy consumption for the purposes of conserving energy and keeping bills under control. 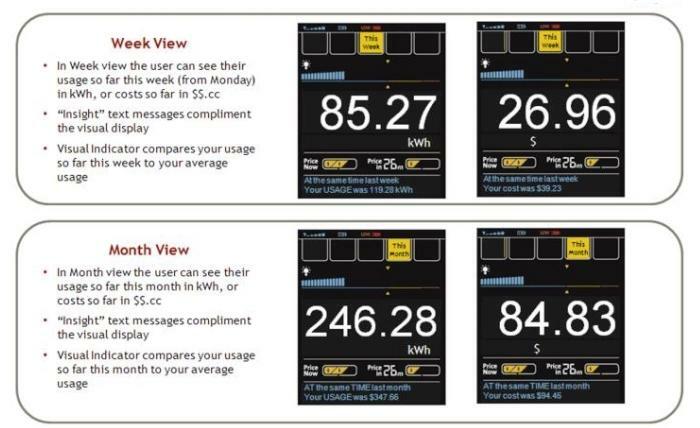 The new device allows Origin to engage with its customers in an efficient and transparent way so that they can gauge energy consumption and view billing information in a quick and easy manner, rather than having to wait for a paper bill or to login to Origin's Energy Manger Web portal. The device has a screen that can show energy consumption in terms of dollars and cents, in addition to kilowatt-hours, and its graphical elements allow users to intuitively identify trends in their usage. Physically, the device ships with a cradle that allows it to be always-on so that customers can continually view energy consumption information, but it also has a magnet, which allows it to be attached to a fridge door and display information only with specific interaction. When attached to a fridge, the meter will switch on every time the user walks past it or when the fridge door is opened. The battery in the meter can last up to three months in this configuration. Only two buttons reside on the device: a view button that allows users to toggle between time periods, and a $/kW button that allows users to switch between dollar display or kilowatt-hour consumption. Users can easily see how much they have consumed in a daily, weekly or monthly view, and because the device is remotely provisioned by Origin with specific information regarding a customer's plans and discounts, the dollar readings are accurate and a true reflection of how much a customer is spending per hour. Furthermore, users can walk around their home with the device, switching appliances and other electrical components on and off to get a real-time view of how those appliances affect their consumption and billing. This can allow users to make informed decisions about how long to leave on an air-conditioning unit, for example. 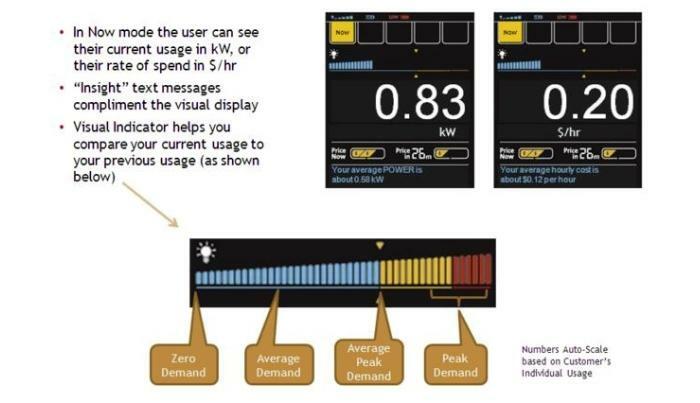 Bar graphs on the Smart Energy Monitor offer a graphical indicator of usage, allowing users to see average consumption and easily compare it to a previous day's consumption. The colours on the graph indicate low, medium or high energy usage. Because the Smart Energy Monitor can show real-time usage information, it can give users a sense of how much they spend on a daily, weekly or monthly period based on their usage, and it can help challenge users to use less energy on a day-to-day basis. For users with solar power, the Smart Energy Monitor is unable to tell users specifically how much power a panel is generating, but it knows when it is generating power and can show a net position for weekly and monthly usage. It will show negative usage if a panel is making more electricity than is being used and is currently exporting to the grid. The meter taps into the main energy smart meter of a home using ZigBee technology, which is encrypted using the AES-128 standard, and Origin says that it's probably much more secure than most peoples' Wi-Fi networks. The Smart Energy Monitor can only be connected to one specific smart meter and the meter only allows one particular device to be connected. 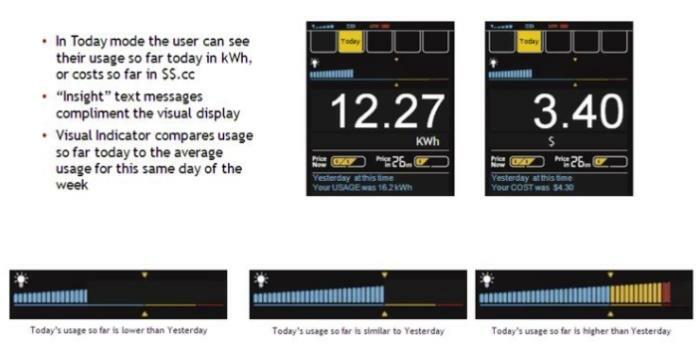 It says one user's Smart Energy Monitor will not be able to read another user's smart meter. Users in freestanding homes and small blocks of flats should have no problem using the Smart Energy Monitor, which is said to work up to 30m away from the ZigBee chip that's in a smart meter. However, large apartment complexes or any other types of buildings in which the meters are a longer way from the main living area could pose problems. The Smart Energy Monitor will be made available to new customers who sign up with Origin, and also offered to existing customers via direct marketing. The device will be ready to go straight out of the box, with the user not having to do any configuring on their end — it will simply join up automatically with the smart meter. At the moment, the Origin Smart Energy Monitor is only available from Origin in Victoria, where the government has mandated the use of smart meters, but Origin hopes to roll it out across the country in a more organic manner in the future. Users can find out if they are eligible for the Energy Monitor via Origin's Web site.